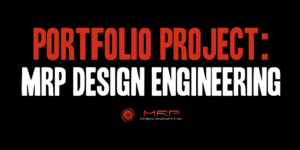 I recently completed work on a new project for MRP Design Engineering. We took their existing website, built using the SnippetMaster web editor, and migrated it to the WordPress platform with a new look and feel. 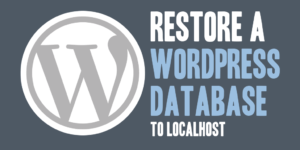 Working with WordPress, I often will take a production database and restore it to my local server to verify changes and further aid in development. When doing so, I will always run WordPress under a named virtual host, with frequent production backups allowing me to mimic the production environment. This article will discuss the steps necessary to backup and restore a production MySQL database to a local development environment, and configure it to run against a local named virtual host or URL. 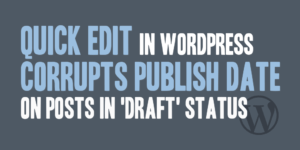 Have you ever wanted to use a WordPress shortcode in a text widget, or have you ever attempted to do so with undesired results? I have, and wanted to re-share a common little code snippet that allows you to use a WordPress shortcode from your theme or plugin within a text widget! 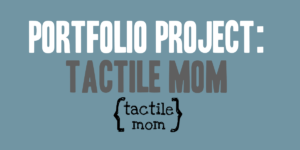 I recently completed work on Tactile Mom, a project started by my wife, Brynn. Tactile Mom describes the experiences, struggles, and highlights of a mother who raises a tactile defensive child.